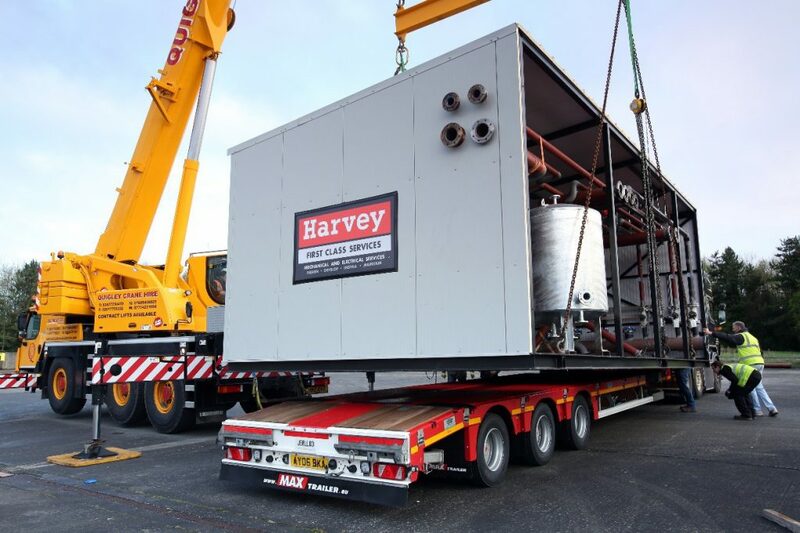 On our City Quays 2 project, situated on the waters edge in Belfast, Harvey Group were tasked with not only the offsite prefabrication of a 30ton plantroom, but the small matter of its delivery to site. City Quays 2 is the second phase of the 10-hectare City Quays development in Belfast Harbour and when complete will offer a Grade A managed office block with coffee shop at ground floor and car parking. 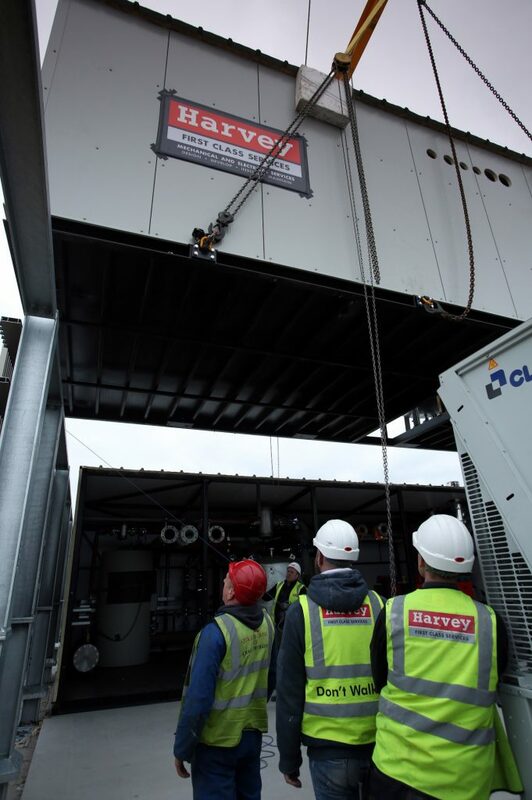 Harvey Group were engaged in November 2015 to Design, Develop, Install, Commission and set to work, the Mechanical and Electrical Services. Specialist Rigging and moving of units out of workshop. 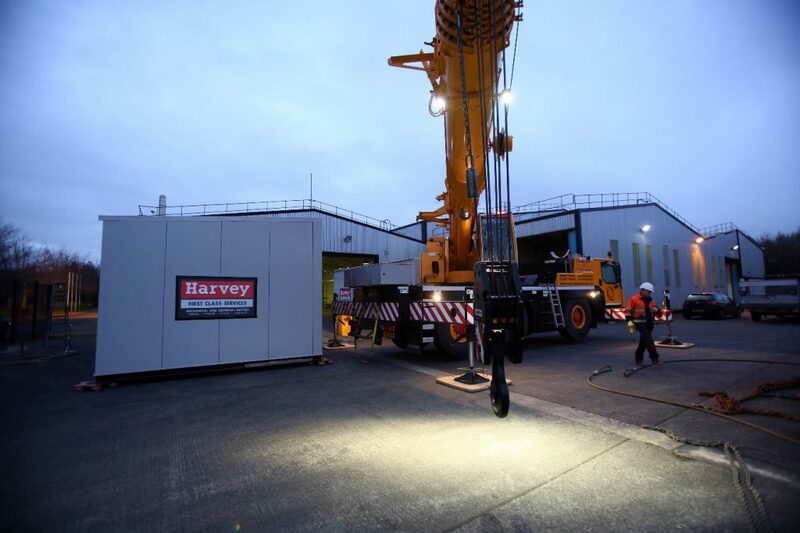 The journey began at the manufacturers warehouse, where Harvey Group’s Planning Manager, Robert Hall got the ball rolling just before sunrise. Transportation width restrictions were a major factor that influenced design and manufacture. 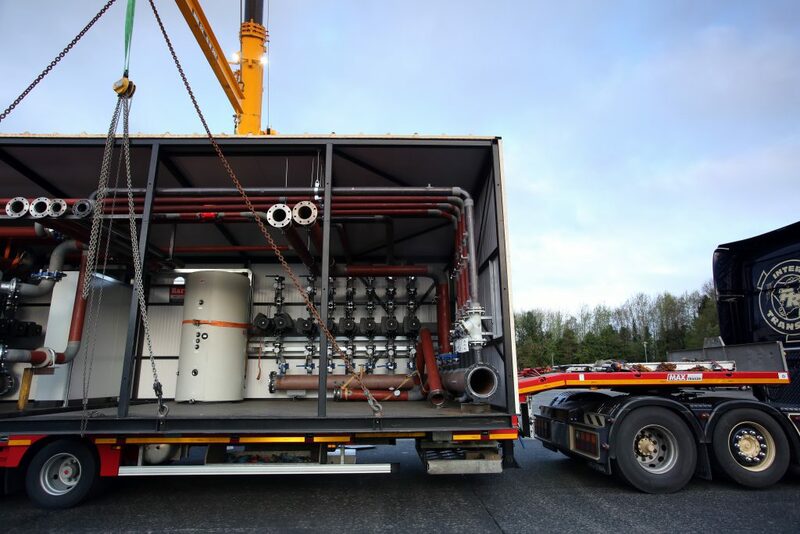 The best option was to prefabricate two separate sections which were both craned onto two flat bed lorries for transportation to Belfast. 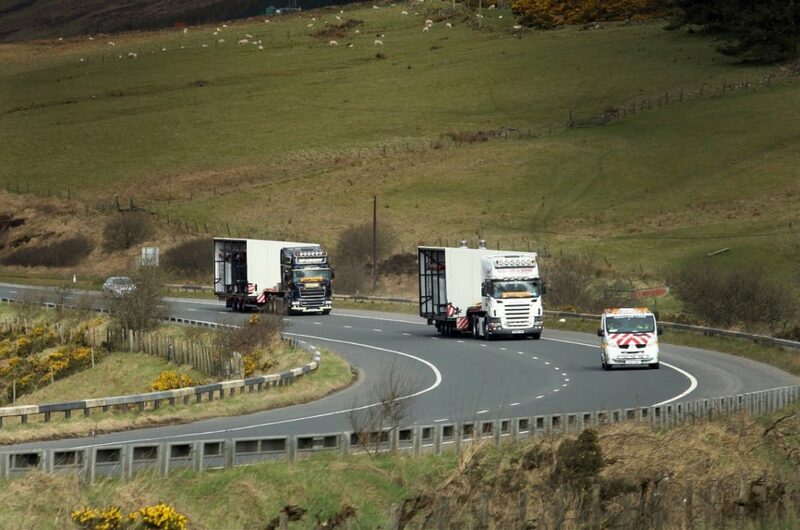 The plantroom sections were transported from Derry City to Belfast via motorway. A lead safety car was used to warn upcoming traffic of the “wide loads” approaching. Once the plantroom sections had arrived safely to site, the next step was to lift them into position on the roof. 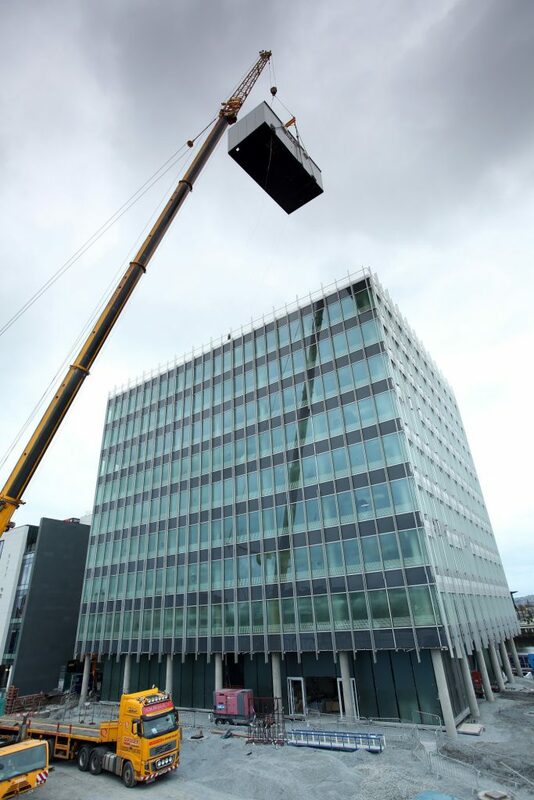 Due to the City Quays 2 building being 9 stories high, a specialised crane lift was required. Once the first section was in position, it’s was up with the second, which was carefully sighted abutting the first to allow connections to be made. A job well-done! Thank you to everyone involved who made this a success!